Photo by William D. Lewis | Modern Methods Brewing Co. in Warren. Location: Modern Methods Brewing Co. Hours: Thursday, 4 to 10 p.m.; Friday, 2 to 10 p.m.; and Saturday, noon to 10 p.m. Available for Purchase: Flights, pints, growlers and merchandise. Brewing beer is a family tradition for Adam Keck, owner of Modern Methods Brewing Co., 125 David Grohl Alley in Warren. Adam’s great grandfather, Lee Keck, home-brewed in his basement years ago in North Jackson, and his grandmother, Dorothy (Cockerell) Keck, was the inspiration for his brewery’s Welsh Pale Ale. Adam’s grandfather, John Bachinger, was born in Eberschwang, Austria, in the heart of Bavaria. That heritage influenced Adam’s love of German-style beers. In 2010, Adam and his brother, Lee, bought their father, John, a home-brew kit. By Thanksgiving 2011, the kit hadn’t been used. “I told my dad if he didn’t use it, I would,” Adam recalled. Keck & Sons Brewing was born. While all three enjoyed the process, brewing became Adam’s passion. Seven years later, he’s operating a brewery of his own, which opened last month. The family tradition is still alive, and will come full circle soon. “My cousins, who still live on the family farm in Eberschwang, will be in Warren later this month for our Maifest and the release of our Maibock,” Adam said. The cousins won’t be disappointed in Modern Methods’ beers. Ten were on tap the night we visited, ranging from traditional German-style beers – like Scrappy German Hefeweizen and Gretchen Munich Helles Lager – to a Saison and even a Double IPA. “We love the new wave of American craft beers, but we’re traditional-style beer nerds,” Adam said. The Flight Crew has known Adam for some time through craft-brewing circles. We stopped by one evening the brewery wasn’t open to the public so he could focus on telling us his story and about his beers. He treated us like brothers, as usual, and couldn’t wait to quench our thirsts. Let’s just say, we didn’t leave thirsty. 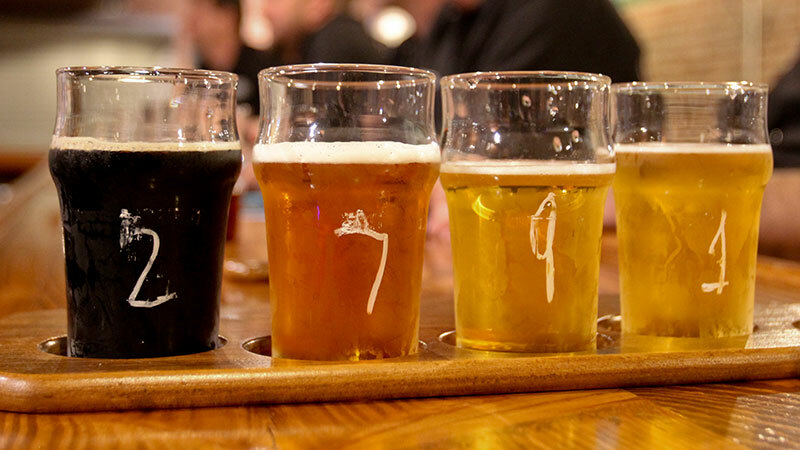 Recommended Flight Pattern: Navigate the short trip to Warren (aka the City of Modern Methods) for a taste of some of Trumbull County’s finest craft beers.